Last night’s edition of Monday Night RAW is making headlines today but not for anything that was meant to happen on the show. 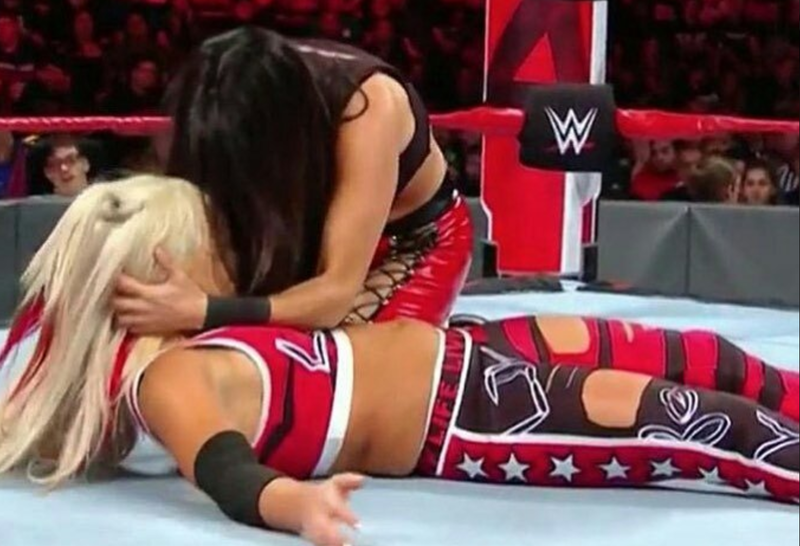 As viewers saw during the Bella Twins and Natalya vs. Riott Squad match, Liv Morgan was knocked out cold after being kicked in the face by Brie Bella twice. Brie was performing her husband Daniel Bryan’s “YES” kicks but something went wrong as Brie landed them to Liv’s face instead of chest. This incident is causing an online uproar and both fans and professionals are voicing their opinions. It was immediately apparent that Liv Morgan was hurt and Brie tried to check on her and help her to he corner. Physicians tended to Liv right away and its been said that the referee was told to keep her out of the match. Liv still got involved and did a suplex spot against the ref’s orders. Much of the uproar appears to be that many feel Brie Bella is unsafe in the ring. If you saw RAW last week you saw Brie botched two dives to the outside of the ring. Of course Brie has been out of regular in-ring competition for quite a while and had a child in the meantime, so her timing being off is understandable to a degree. Is the answer to just fire her over some mistakes? No. The Bella Twins have become stars outside of just WWE and their value is too great to make such a drastic move over a mistake. If anyone really thinks Brie Bella just wanted to purposely injure Liv Morgan, they probably just don’t understand pro wrestling. If you noticed after the injury, Ruby Riott seemed to take a few stiff shots at Brie which is a very old school response that was a bit unexpected in this era. That type of thing was known as a “receipt” back in the day. If someone was a little too stiff and needed to calm down, it was handled. Now in the era of concussion protocols and referees pulling out rubber gloves at the sight of blood, this whole thing is pretty much being blown out of proportion.